F.D.R. Memorial is 7- acre memorial park that includes waterfalls and gardens. 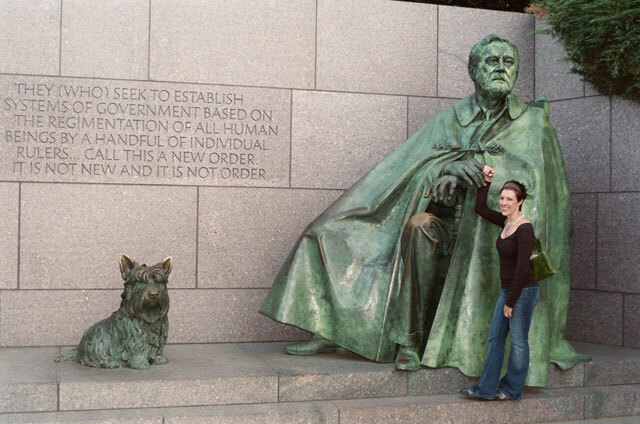 There's a statue of president Roosevelt sitting in a wheel chair next to his dog name Fala. The memorial was dedicated in 1997.